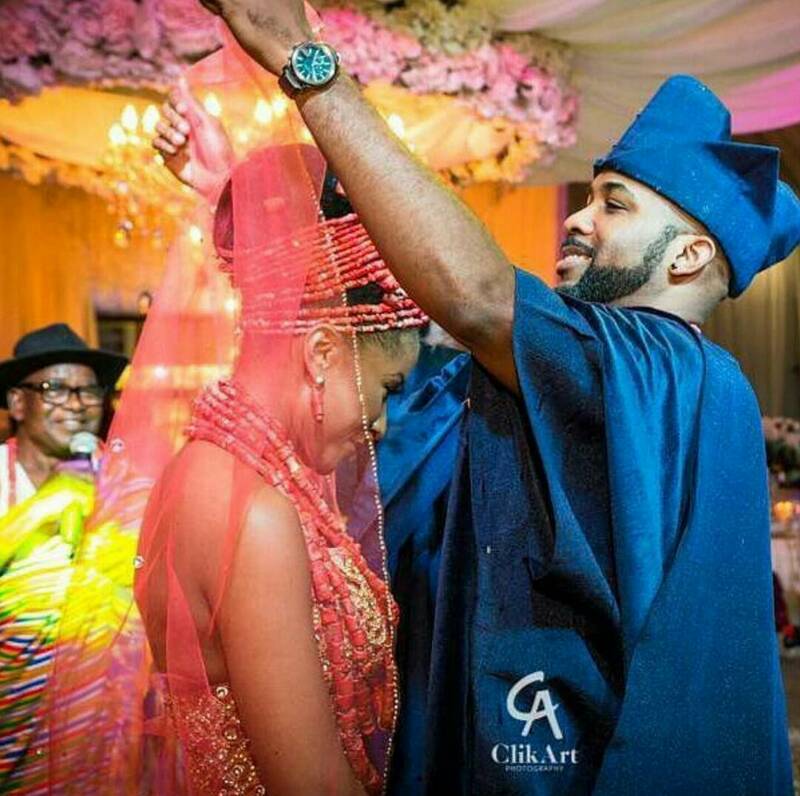 At the traditional wedding, the happy groom couldn't hold his excitement as his beautiful bride walked up to him and then with smiles all over his face as seen in the picture below, he unveiled her to himself first and then to the world! 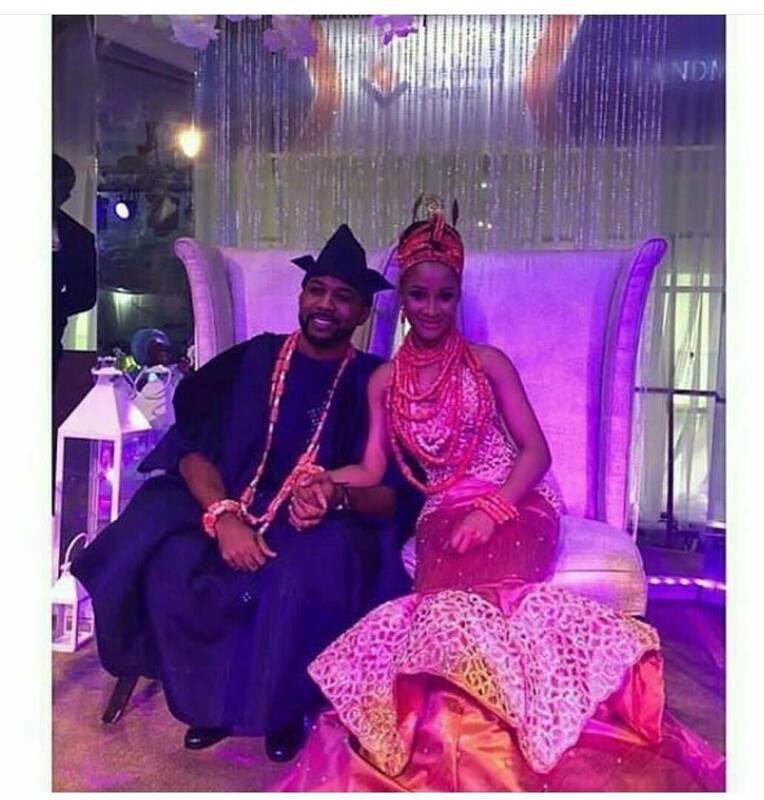 And then after the unveiling, together they moved to their ceremonial seats. 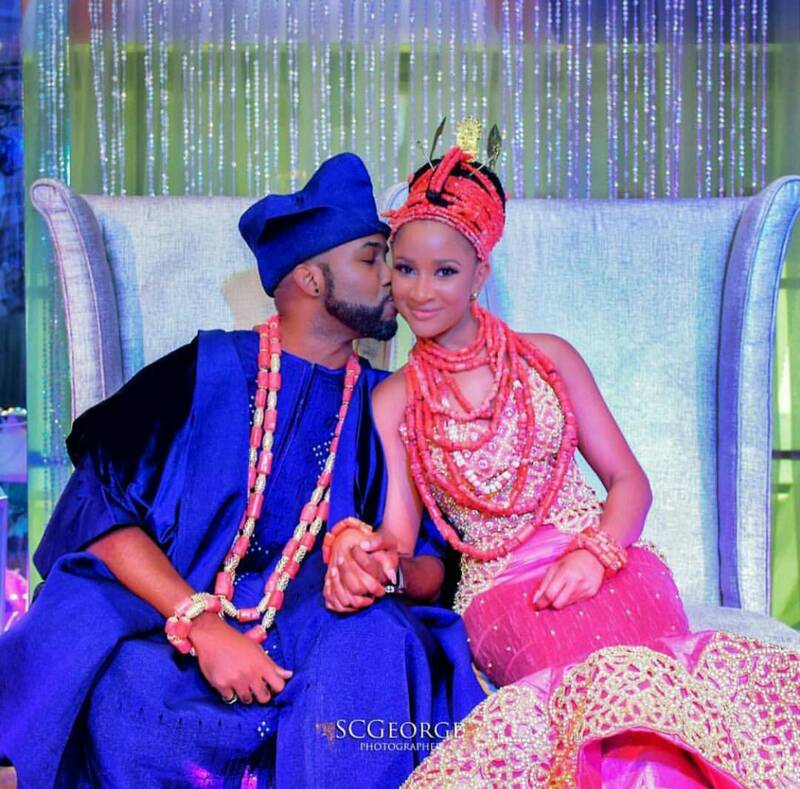 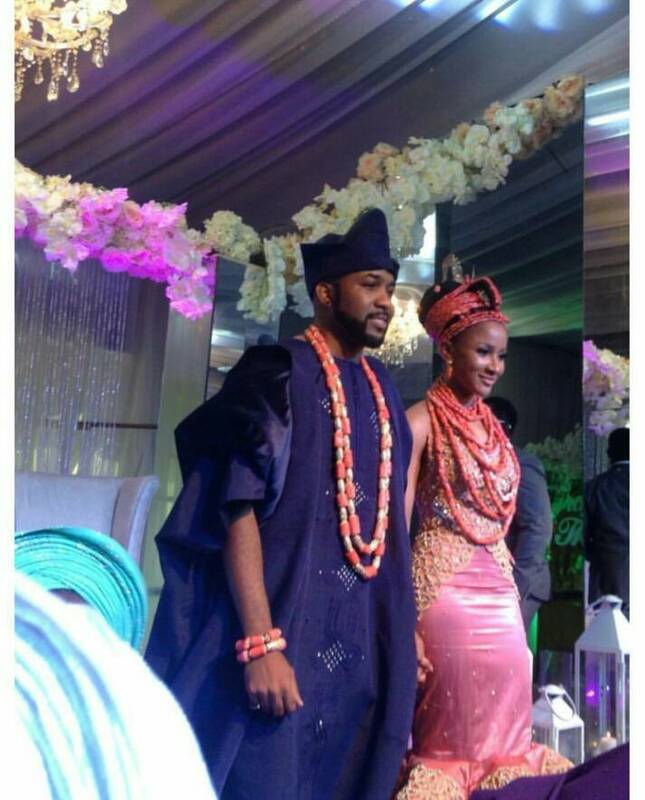 At the reception, Banky W kixed Adesua so passonately that it got people talking.